Answer 1: I think in the future communications devices will get smaller and smaller, and we will see more variation in the way people use graphical interfaces. Answer 2: I have no idea, to be honest. I’m not very good with technology, and I prefer to speak face to face really. I’m sure there will be some changes, though. Both of these answers will score about the same, even though the speaker in answer 1 makes some good, realistic predictions, and the speaker in answer 2 essentially says “I don’t know”. It isn’t what you say; it’s how you say it. “I’ve always loved (past participle) NOUN/VERB+ING” is an easy sentence that you can include. It shows that you can use the present perfect tense in a natural way. Present perfect is a very common grammar form. You need to show that you can use it. Answer: Well, my high school French teacher was just so passionate about the language. I’d never enjoyed French, but he changed my mind about it. Past perfect form can be used to talk about something that happened before another past action. It’s easy to find a place to use it if you try. Question: "Are you interested in sport?" Answer: "Sure. I've been playing football since I was a high school student..."
Question: "Do you work, or are you a student?" Answer: "Actually, I quit my job last month. Since then I've been studying English." Answer: “Sure. I’ve been reading a lot about the Donald Trump recently…"
4. "I grew up in Skegness, which is a small town in the North of England." A lot of students would break this sentence into two shorter sentences: "I grew up in Skegness. Skegness is a small town." However, by using the relative pronoun "which", we are able to combine these sentences into one, more fluent-sounding sentence. Correct use of relative pronouns like "who, which, that, where" etc. will really help get your speaking score past 7.0. Answer: "Well, one sport that I really like is basketball..."
Question: "Did you have a favourite teacher?" Answer: "There was one teacher who really encouraged me. Her name was..."
5. "If I hadn't had that conversation, I wouldn't have decided to come to the UK..."
ESL students often feel nervous about using conditional sentences, because they find them difficult. Therefore if you can go in and use a conditional, particularly a complex one, like a 3rd conditional or a mixed conditional, you will be one of a few students to try this. This can only increase your score. Question: "What's the most important quality in a good teacher?" Answer: "Well, they have to care about their jobs. If they don't care, the students won't learn anything." Question: "If you could, would you make any changes in your life?" Answer: "Sure. If I had more money, I'd be able to start my own business." Question: "How have recent inventions changed our lives?" Answer: "Medical technology has made a huge difference. I wouldn't be here if I hadn't had access to good medical care." That is five sentences that will definitely improve your speaking score if you can use them accurately. Needless to say it is better to take lessons with qualified IELTS teachers than to learn alone. 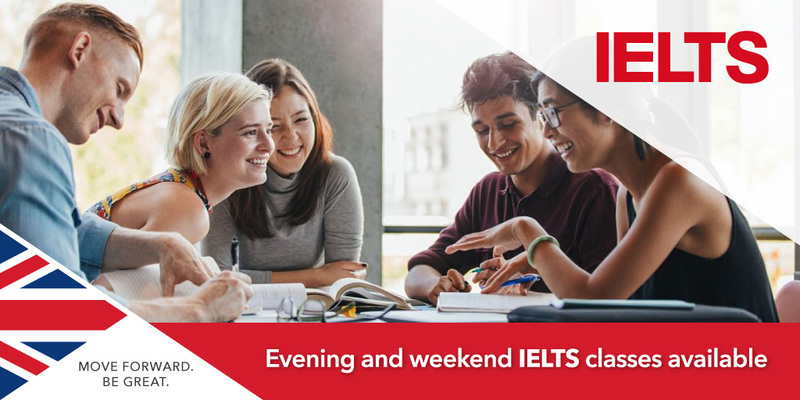 Learn more about how SI-UK can help you with part-time IELTS courses in London and Manchester to suit your schedule. An IELTS practice test will help us learn where you need to improve.